Picking up from where we left off in Miami...we took a flight from Miami, with a stop over in Charlotte, to go to New Orleans. Flying with US airways, who are actually a pretty good company, our journey took us around 4 hours to complete and cost around $150 with bags & taxes. 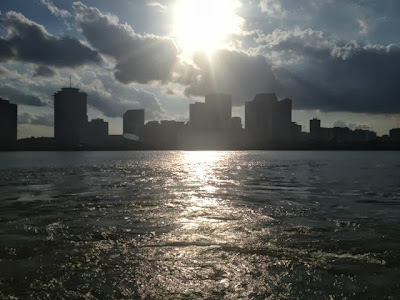 When arriving into New Orleans, we were greeted by a charismatic southern lady who showed us where we needed to get the airport bus (E2) to down town New Orleans. The bus cost $1.50 and so we walked outside to our stop and waited for the bus. Only to then be greeted by a friendly local named Ralph, who pulled up in his car and asked us if we would like a ride into town. Usually I wouldn't jump into cars with strangers, but there was something about Ralph that made me feel at ease. He wasn't threatening, just a kind local man who wanted to do a good deed. As he drove us from the airport he informed us all about the heritage of New Orleans and pointed out historic locations along our way. Half an hour later, Ralph dropped us off at the door of our beautiful hotel, the Ambassador. He then got in his car and wished us a pleasant trip. We checked into our hotel around 4pm and dropped off our bag in our boutique style hotel room. Ralph had informed us that there was a large grocery store called Rouses that was 3 blocks from where we were staying on tchcoupitoulas street and so we walked down there to buy bread rolls, meat and butter so that we could make sandwiches for our dinner. This place was really cheap and if you're staying in New Orleans and want to make your own food, then I recommend going here. The next day we headed towards the French Quarter of New Orleans to see the iconic St Louis cathedral and the popular Voodoo Museum that we had read so much about. 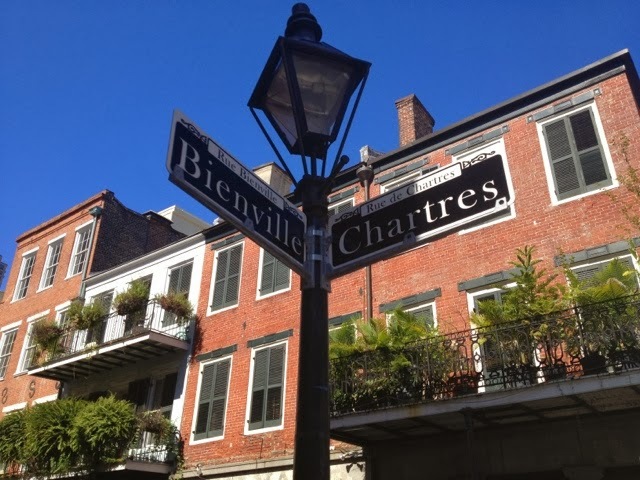 Whilst walking through the French Quarter, I continued thinking how explosively energetic this place must be around the Mardi-Gras parade. Hearing the faint sounds of jazz from bars and the smell of some pretty amazing southern food, we found the cathedral and it was beautiful to see and walk around. 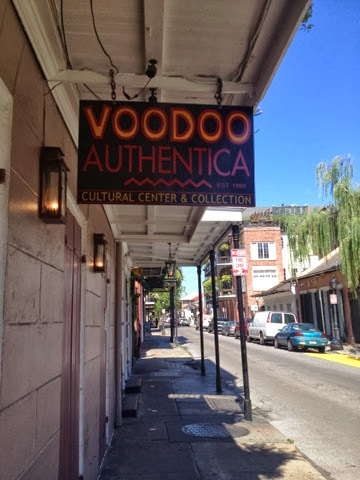 From here we made our way over to the Voodoo Museum, which was an experience like no other. 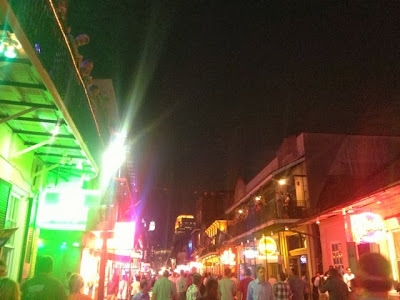 That evening we went out down the notorious Bourbon Street to enjoy the southern classic Poboys (see my post on Olde Nola Cookery) and Dixie beers (a New Orleans produce). 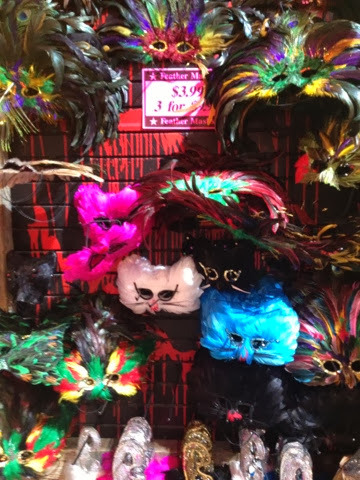 As exciting as Bourbon Street was, I was a little disappointed by what I saw. Ralph also mentioned this to us in the car; what was once a place of jazz musicians, traditional southern cooking and bohemian groups has now been replaced with corporate chains, peep shows and strips clubs in amongst a few of the traditional bars and restaurants. I really enjoyed my night out there, but there are more traditional New Orleans streets to drink on and enjoy music on other than this one. 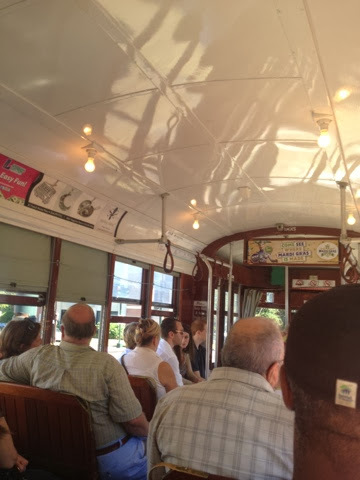 On our third day in New Orleans, and on Ralph's recommendation, we took a New Orleans street car to St Charles avenue. Personally I recommend buying a day pass for $3 but you can pay a single fair of $1.25. 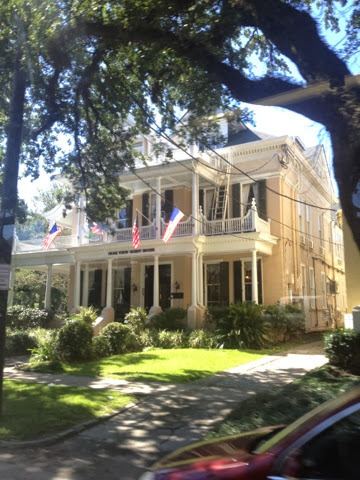 On the St Charles route (green line) you get to see all of the old New Orleans mansions, churches and plantations which is truly beautiful. 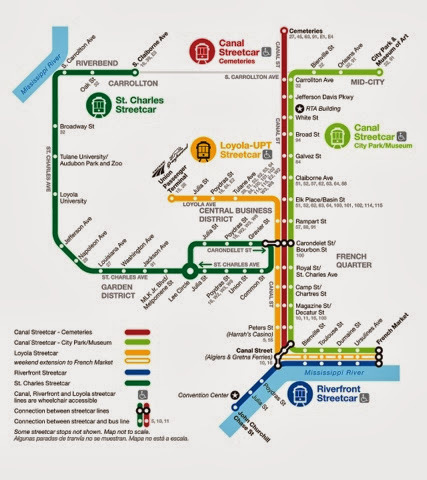 You can also take the Canal Street route (red line) to the giant New Orleans cemetery and all routes no matter how many times you go on them is covered by the $3 day pass. Later that evening, we decided to take the free ferry across the Missispipi river just before the sunset. You can catch this from a dock near Harahs casino and it runs on the hour and every half the half for passengers wishing to get off in Algiers. From the 1st October, this ferry ride will start charging at $2 per trip or $4 round trip. The total journey takes about 30 minutes if you choose not to get off the ferry. 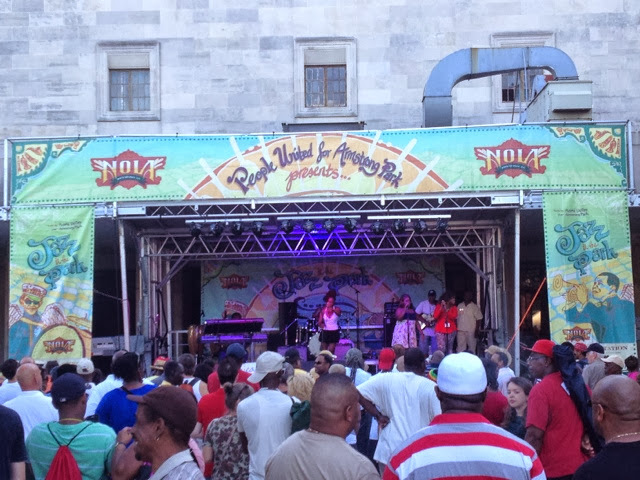 One thing I forgot to mention, was that when in New Orleans we attended the Jazz in the Park Festival. 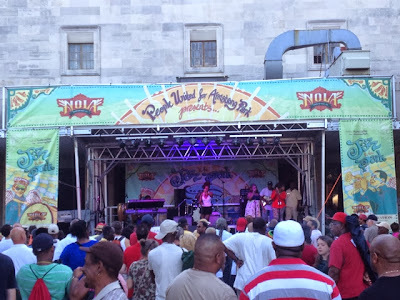 A free Jazz event that is hosted on different nights throughout the city and we attended the one on Armstrong Park as it was spectacular. Full of local food and craft stores, people were just chilling out, listening to Jazz and enjoying an alligator quorn dog! 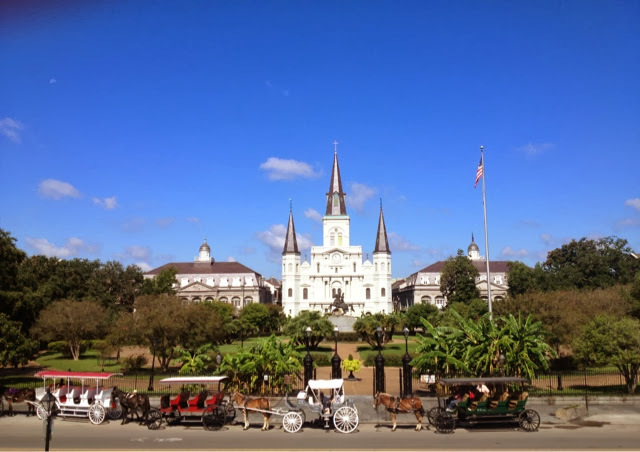 When leaving New Orleans, we decided that flying to Chicago would be the best option. I don't and won't go into this is any more detail than these simple words. DO NOT FLY WITH SPIRIT AIRLINES. Seriously, I'm a patient person but they took bad customer service to a whole new level. So please, I beg that you spend that little bit more on someone like US Airways who are cheap and brilliant. 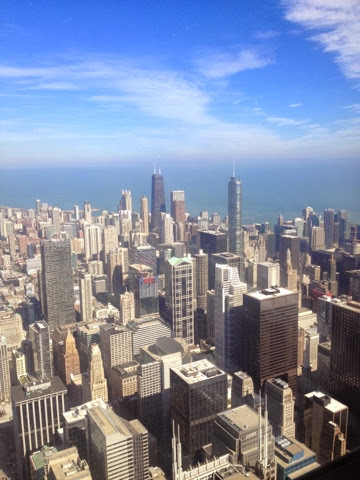 When we finally arrived in Chicago, we took the blue line train to downtown and then switched to the red line to head up towards Lincoln Park and to check into our Hostel. Without a doubt, this has been one of the best hostels I have ever stayed in and if highly recommend it to anyone visiting Chicago, it's called the Chicago Getaway Hostel. Our first day here was spent buying groceries and sleeping. Due to the hellish 24 hours prior to our arrival. Later on that evening we went downstairs to say hi to a few people and to enjoy the yummy FREE BBQ that was put on by the hostel. Refreshed and ready to take on downtown, we decided to buy a day train and bus pass ($10) and see the sites of Chicago. I highly recommend getting this pass if you want to do downtown Chicago in a day as it saves so much time being able to hop on an off transport. With our first stop visiting the Willis (Sears) Tower. You can buy tickets on they day for $18, but to save a little money we purchased them from our hostel for $16. 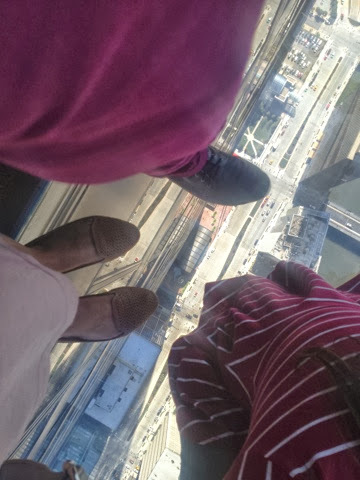 Giving you a 360 degree view of the city, the views were spectacular and they even have a section for the "dare-devils". A glass ridge that holds you hundreds of feet above the city and is pretty terrifying. 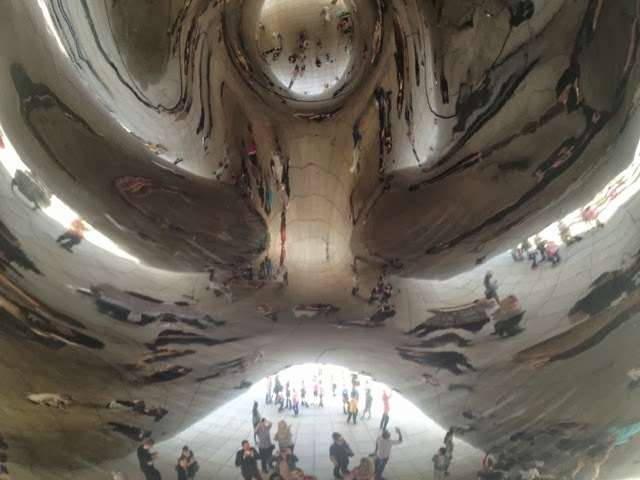 After challenging my fear of heights, we went over to the beautiful Millennium Park to stop for lunch and to ask see the giant Silver Bean which was quite psychedelic when inside. From here, we decided to visit the famous Chicago and Goodman theatre signs before taking the bus to the renowned Navy Pier. Filled with yummy restaurants, a giant Ferris wheel and river side attractions. We walked along the wooden boards on the sunshine pier and enjoyed an afternoon watching the yachts and boats sail across Lake Michigan. 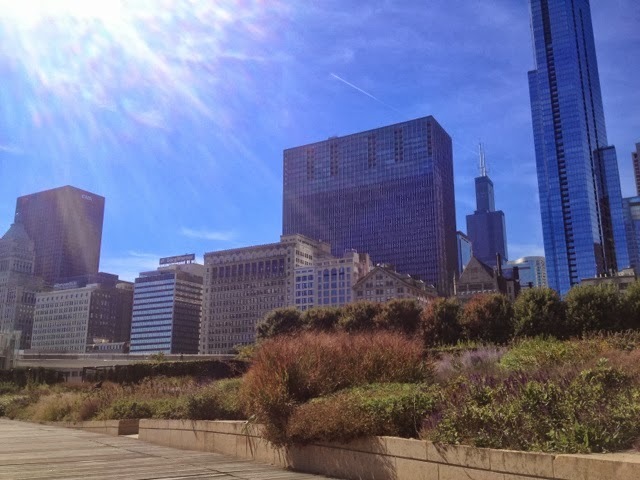 Over the next two days of our stay I. Chicago, we mainly relaxed in the beautiful Lincoln Park and discovers hidden peace gardens and the free zoo which was brilliant. Lincoln Park Zoo, I think, is the only free zoo in America. Filled with a range of animals from all over the world. My favourite had to be the different range of bears they had and the baby hippo that we were lucky enough to see in the Africa exhibit. We also ate out at an amazing pizza restaurant called Lou Malnatis. Which I recommend visiting if you want authentic Chicago pizza. Overall, I think that Chicago has by far been my favourite place to stay in terms of accommodation, food and things to do. We arrived in Las Vegas after a flight from Chicago and stop off in Minneapolis. Flying in we went over, what looked like, the beautiful terracotta valleys of the Grand Canyon. I don't know if this is the exact place but either way the sun was setting and it looked incredible. One thing about Vegas is that it seems to go from an idyllic sunshine to a dark nights sky, lit up by twinkle city lights, very quickly. So once picking up our bags we went to the airport shuttle bus area and took a Grays bus for $9 each to our hotel, The Stratosphere, as this was classed as downtown. The bus was full with people excited to also take in the bright lights of sin city and so this made our drop off at the different hotel a little longer than expected. The journey wasn't a big deal as we were sucking in the vibrancy of Las Vegas at night, but overall probably took around 45 minutes to an hour to reach our hotel which was the last drop off point. 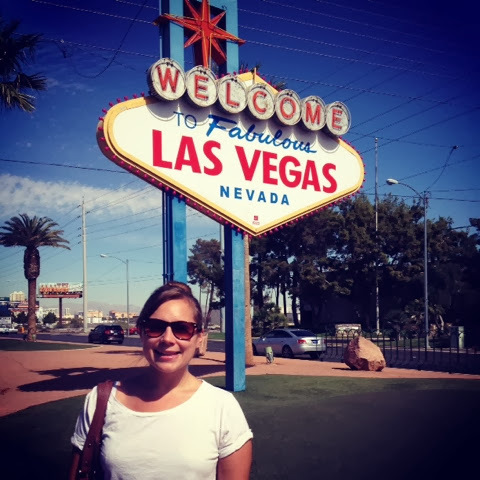 We checked into our hotel, The Stratosphere and decided to begin exploring around there for the night as we were pretty tired from our 10 hour day of travelling Over the next few days in Vegas we had a brilliant time relaxing by the pool and sightseeing. To start, we took the RTC bus (a gold bus company that runs 24 hours a day up and down the strip of Las Vegas. You can buy a day pass for $8) up to Mandalay Bay Hotel. This hotel is located at the other end of the Las Vegas strip. Jumping off at the last stop, we continued to walk 15 minutes in the same direction as the bus was going to see the iconic "Welcome to Las Vegas" sign. This was one of my favourite photo op moments. 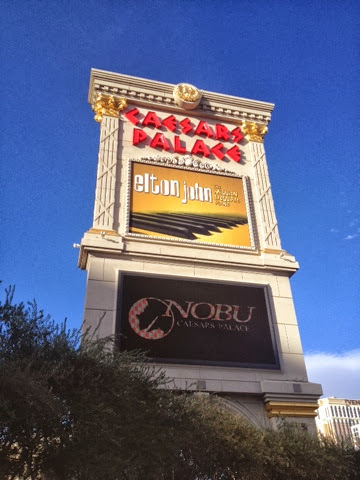 We then made our way down to visit all of the different Casinos and Hotels. Starting with Mandalay Bay which has a South East Asian theme to it, then into the Egyptian themed, Luxor Hotel, Paris, MGM Grand, Caesars Palace, New York New York and the Venetian. All of which were spectacular. I love a themed hotel anyway and so I was in my element in Vegas. 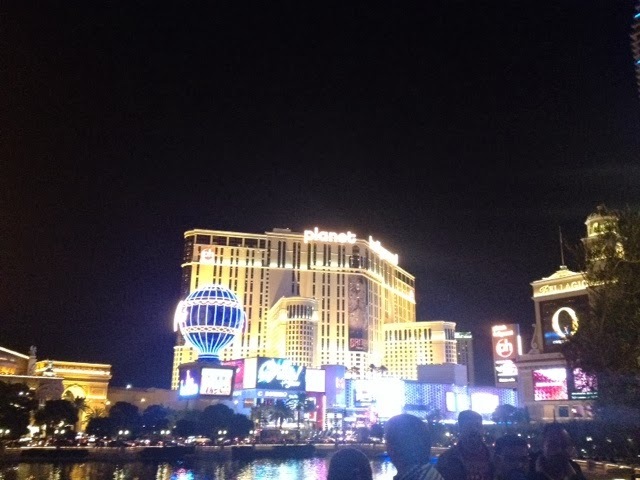 We also had a small (stupid backpacking budget) gamble in both the MGM grand and Caesar's Palace. Thinking I could strike it lucky on the Roulette Table and Lucky 7 Slot Machine, turned out to leave me $10 down and in a bad mood that I gambled on my $9 from $2 win haha crazy I know. Clearly I have a gamblers personality and thank god for my boyfriend reining me in. He is my hero on this trip. Another great thing about Vegas is that there are so many places to shop, both in the hotels and in huge shopping and outlet malls. We paid a visit to the popular Fashion Show Mall where, you guessed it, each day there is a live fashion show each day. Then of course, there is the fabulous Las Vegas shows. From Michael Jackson's, Bad to Las Vegas Showgirls to Cirque du Soleil, there is something from everyone to go and see here. 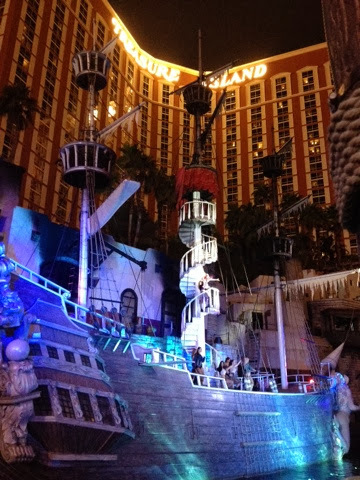 There are even free shows at the Bellagio, Treasure Island and The Mirage that all run from 7pm until midnight everyday of the week. Also if you want to buy tickets I would wait until you get here as there are so many cheap, discounted stores to purchase them from. I would also apply this same theory when looking to take a Grand Canyon or Hoover Damn tour. Shop around as people are always offering you deals and discounts. Personally, I really like the vibrancy and fun nature of Las Vegas. However, I feel like Las Vegas is a place that can be loved for up to 4 days maximum and loathed anything else after that. 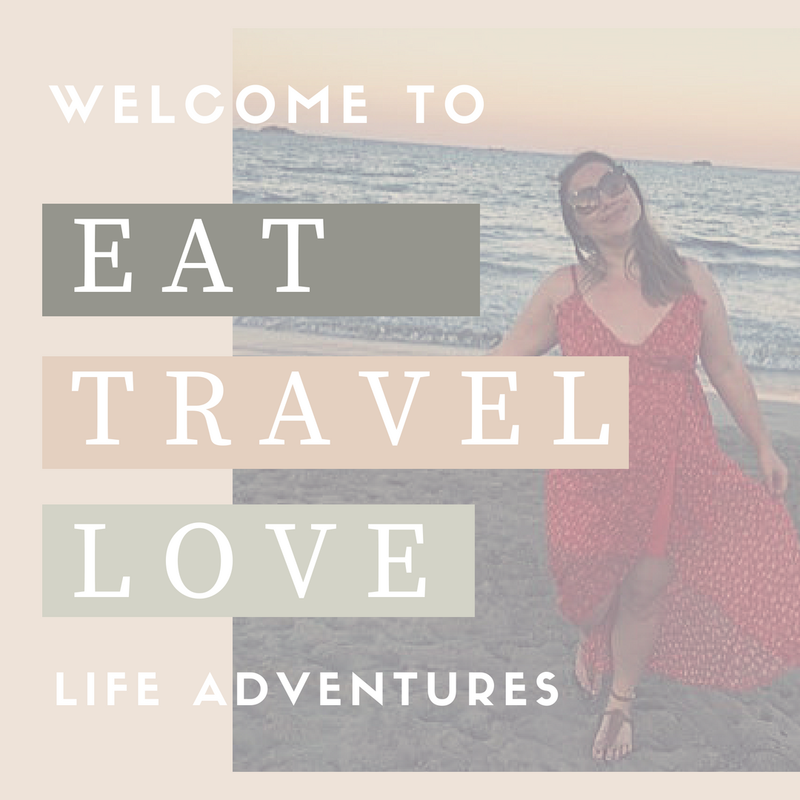 We stayed here for 7 days, which wasn't a bad experience, but towards the end the seedy side became more apparent than the fun and cafe free city we initially started out exploring.